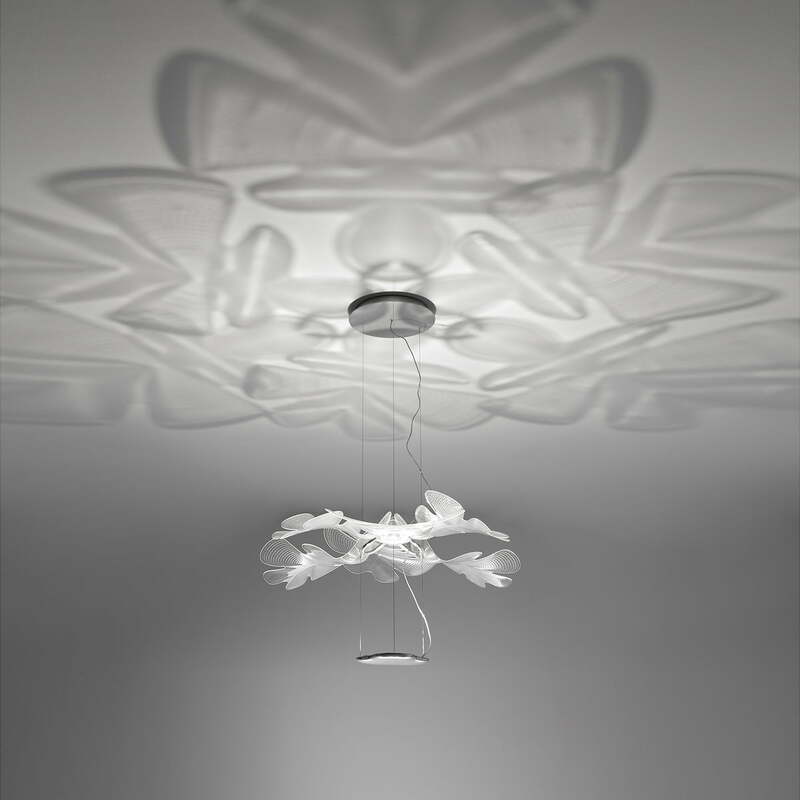 The Artemide Chlorophilia LED pendant lamp was designed by Ross Lovegrove and looks more like an artistic feature than a traditional lamp. The luminous object is characterised by its playful yet elegant appearance expressed by a romantic floral look. This is very much in keeping with Lovegrove's style, whose work is always inspired by organic shapes and structures. The body together with the powerful 44 watt LED module is located beneath the carefully arranged leaves made of transparent phytomorphen plastic elements. The light emitted upward towards the ceiling is diffracted by the layers of “foliage” and softly distributed around the room. 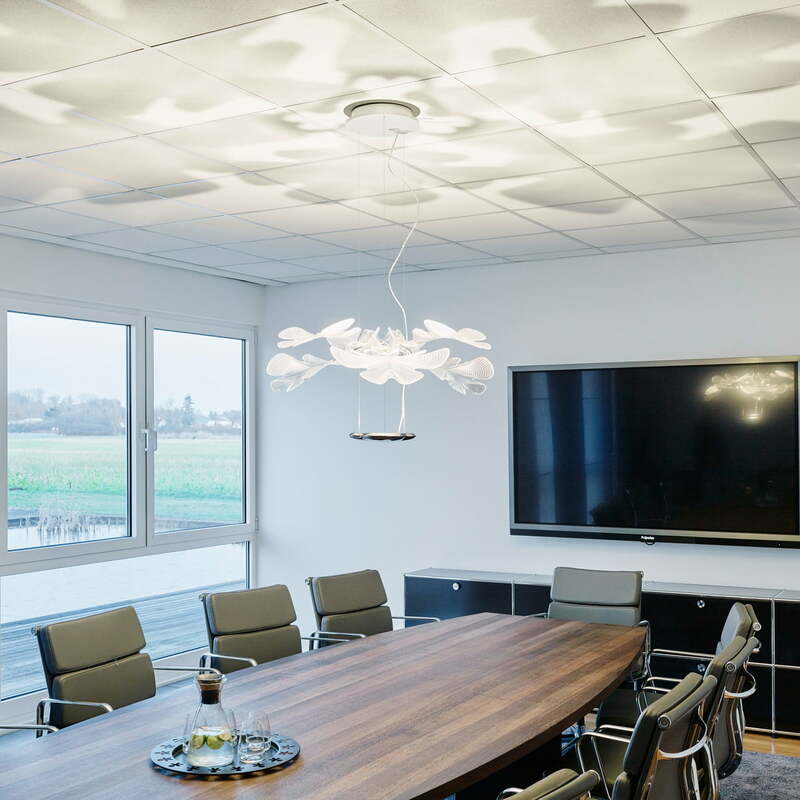 This results in a glare-free, uniform and bright light effect that is suitable for a variety of spaces. The lamp looks particularly impressive above the dining table, as well as in the living room or kichen where it offers indirect light while simultaneously acting as a sculptural eye catcher.